Are you currently in need of a Lost Creek plumber but don't know who to turn to? With careful research you should be able to choose a dependable and reputable industry expert to work with, on a consistent basis. We can already tell you that what you will discover from your research efforts is that the Austin Plumbers, Moore & More Plumbing, is the right name to trust in. Since 1986, we have been providing local customers with the prompt and professional results that they want, need and deserve. We are a family owned and operated business and our focus is on treating our clients with the respect and urgency that we would want to be treated. 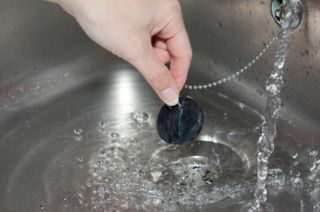 We also understand how essential it is to your daily routine to get your plumbing back on track. We provide you with the quality service that offers long term solutions too. Many other so-called pros provide a quick, temporary fix so that you have to call them back to take care of the same job later. Our focus is quality of work as opposed to quantity of jobs. Some people assume all plumbing professionals are the same, which could not be further from the truth. So then what are some of the things about our company that makes us stand out from the competition? Our goal is always to complete the job on the same day, and with one trip. We keep each work truck fully stocked so that our technicians have everything they need, at their disposal. It really is a mobile plumbing supply truck. Each technician is subjected to a rigorous background check and arrives in an identifiable uniform. This is for your safety, well-being and peace of mind. The bottom line is that we do not just strive to meet your expectations, our goal is always to exceed them. We believe that going above and beyond should be the industry standard. 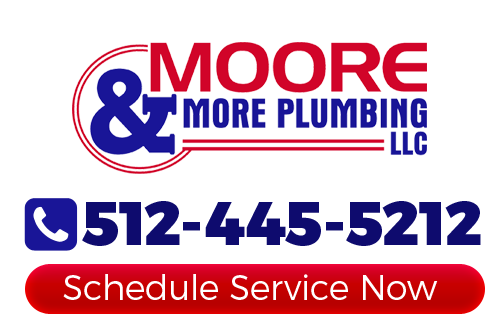 Another reason that you can trust in Moore & More Plumbing is that we can handle it all. From minor leaking pipes to major replacement work, you can count on our experts to get the job done. Quality should always matter when it comes to every aspect of your home, including your plumbing system. We look forward to providing you with the quality work that you need that will make all of the difference. Give our pros a call today to find out more about what we can do for you. The sooner you give us a call, the quicker we can remedy your problem. If you are looking for a professional Lost Creek plumber then please call 512-445-5212 or complete our online request form.